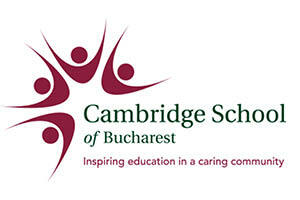 Cambridge School of Bucharest (CSB) is an all-through international school located in the heart of Bucharest, Romania. CSB provides a strong educational platform that enables students to attend top universities both at home and abroad. Since 2002, CSB has been licensed by Cambridge University as an official examination centre for Cambridge International Examinations, thus offering a truly British education to students of a variety of nationalities, languages, and backgrounds. To best serve the student body, CSB became a member in 2006 of SABIS® global education network, a prestigious group of schools that follows an exact and proven international curriculum. After twenty-three years, CSB has flourished into one of the most prominent international schools in Bucharest. CSB is a truly international environment wherein the best of British education is provided to all of its pupils, from Reception to Year 13. The school high standards have attracted a diverse student body representing 37 countries. CSB view is that regardless of mother tongue, colour, creed, or nationality, every student is deserving of a quality education. The student body is brought together by a strong sense of family, community, and a common desire to move forward as one.